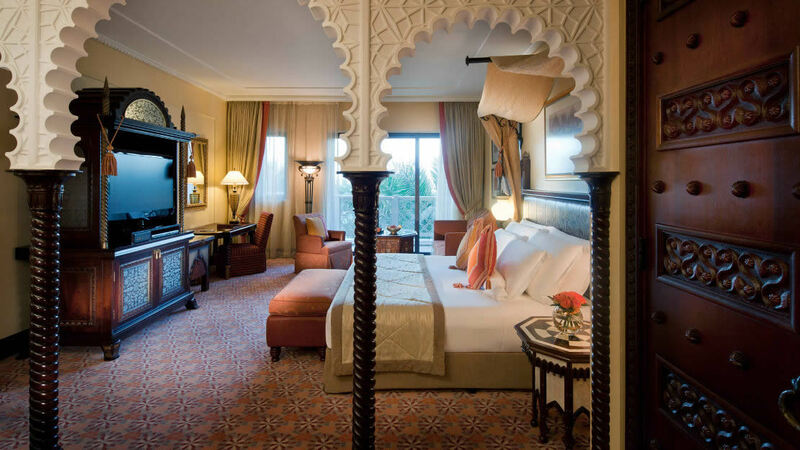 A jewel in the Madinat crown, stylish boutique resort Jumeirah Al Qasr befits those searching for a truly luxurious break sampling the finest Dubai has to offer. At the gateway of the Madinat world, it’s in a prime position, poised to enjoy a plethora of shopping, galleries, dining venues and bars. The Madinat Theatre is the base for a rich and varied entertainment programme, and the Madinat private beach is a haven of tranquility. Add to this a fantastic kids' club and Talise spa and fitness and you have everything you need for an idyllic Dubai holiday. Architecturally, Al Qasr shouts ‘old Arabia’, with sculpted monuments amidst a tree-lined avenue for its majestic approach. Enter inside and it's no less impressive, the grand lobby leads you on to a fantastic array of plush rooms and suites, filled with opulent touches such as marble bathrooms, private dressing areas and master bedrooms with rich dark wood interiors against Arabian-inspired colour schemes. Al Qasr translates to ‘The Palace’ - we’re sure you’ll agree it’s a fitting name for this stunning property. Madinat Jumeirah boasts a stunning 2km private beach, with views of the iconic Burj Al Arab Jumeirah. Situated in front of the hotel complex, the golden sands are just a few minutes’ walk away. 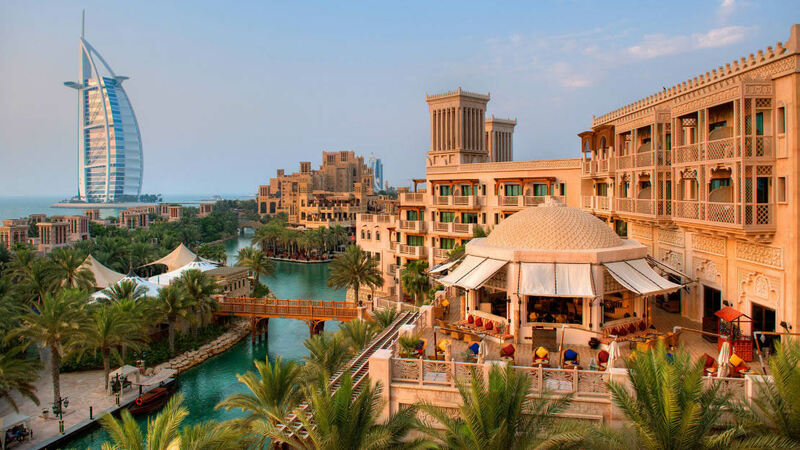 Jumeirah Al Qasr is part of the Madinat Resort with shopping, restaurants, bars and even a water park. There's a free shuttle bus to take you from the hotel to the Wild Wadi Water park, as well as other popular shopping malls. Exploring more of Dubai is also easy from here. Downtown Dubai, where you’ll find the tallest building in the world, alongside the Dubai Mall and water fountain display is approximately 15km away. Emirates Golf Club is about 6.5km, and Dubai Marina is 7.5km. Dubai International Airport is approximately 27km away from Jumeirah Al Qasr Madinat.